Thomas W. Kemp, age 69 of Massillon, passed away Tuesday, February 5, 2019 at Rose Lane Care Facility. He was born April 12, 1949, in Massillon, the son of the late Roy and Theresa (Halter) Kemp. 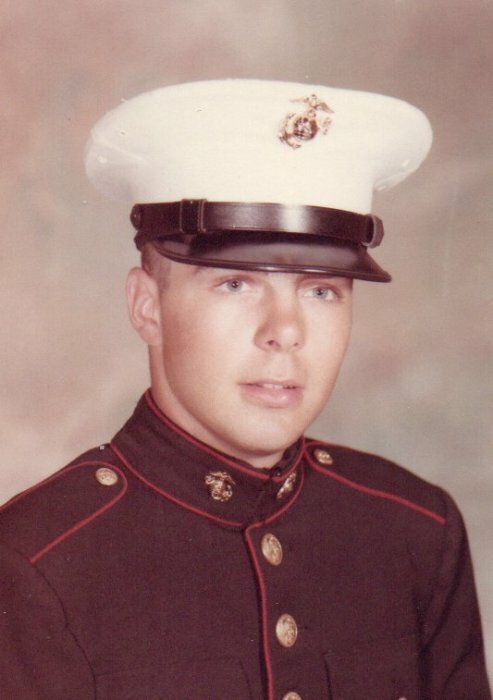 Tom was a Marine veteran serving during Vietnam. He attended St. Mary Catholic Church and enjoyed drag racing and his truck. Tom is survived by his siblings, Daniel (Vicki) Kemp, Mike (Marian) Kemp, Roy (Vicki) Kemp, Kevin Kemp, Keith (Bonita) Kemp, Patricia (Rick) Wheeler, Karen Kirkwood; and numerous nieces and nephews. Funeral service will be held on Monday, February 11, 2019 at Heitger Funeral Home - Jackson Chapel, 5850 Wales Ave NW, at 1:30 pm with Rev. Edward Gretchko officiating. Calling hours will be held on Sunday, February 10, 2019 at Heitger Jackson Chapel from 5 pm to 7 pm. Burial to follow the service at Sunset Hills Memory Gardens in North Canton with military honors. In lieu of flowers donations may be made to the Marine Corps Toys for Tots, 2658 Edison St NW, Uniontown, OH 44685.